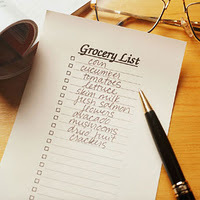 My shopping list from the first Meal Planning Monday seemed to go down well, so have decided to give it another go. As usual I have shopped at Tesco. Where possible, I try not to go mad and usually choose the value or own brand options. So for that, we have gotten food, drinks and householder cleaning stuff for the week. To get yourself back to the Meal Planning Monday, click here!